. @Sealed_Air Re-imagines resources. http://bit.ly/1QCZfp4 Annual #sustainability report now available. Our sustainability vision is the same as our corporate vision: to create a better way for life. We are fully conscious that our best path to helping our customers win and make the world a better place is to deliver highly sustainable, superior products and cost competitive solutions. We have been shifting from a product focus to a market focus and are implementing new disciplines to drive the value we create for customers. We see the world as increasingly in convulsion with the intersecting of sustainability, technology and business. For Sealed Air and its customers to succeed we must harness these themes in ways that drive us all forward. We no longer sell packaging; we sell increased shelf life. And this shelf life provides access to healthy food and reduces waste, which in turn contributes to increased food security and environmental benefits. We no longer sell cleaning products; we sell hygiene. Proper hygiene benefits communities the world over, from the most advanced cities to villages in remote areas. We no longer sell packaging that simply delivers what consumers buy. We sell product security that helps our customers reduce costs associated with breakability, returns and reshipment, and in turn reduces the environmental impacts such as additional waste and energy. We do all of this without sacrificing performance or cost. Yet, we still had more work to do. In order to fully understand and address the challenges facing our business from a sustainability perspective, we had to look inside and outside. In the past year, we conducted a materiality study, with internal and external stakeholders, assessing those items that had the most critical impact and importance for our business. Our 2020 Sustainability Goals are the strategy that is the result of that study. Our 2020 Sustainability Goals are bold and aggressive. They are centered around the three focus areas of Reducing Our Impact, Delivering Customer Solutions, and Benefiting Society. These goals are being measured against a baseline of the year 2012, with ultimate goal achievement targeted for the year 2020. As a Company with over 24,000 employees, 114 manufacturing sites, and true global reach, our responsibility to the industries and communities we operate in is clear. We are better positioned than most to address many resource issues facing the world today. Not only do we create value for our customers, but we improve lives of those in the communities where we operate. Our Soap For Hope program gives families a skill that lifts them out of poverty. Our involvement in the ISSA Hygieia Network is improving literacy and career advancement for women in the cleaning industry. 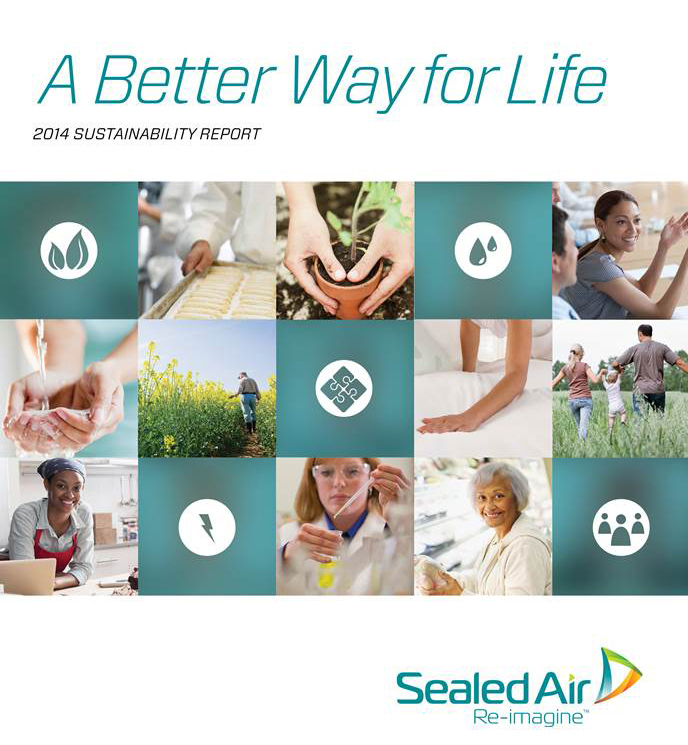 At Sealed Air, sustainability is about much more than recyclable materials. It’s about finding innovative ways to use the resources we have, and creating solutions that are better for all involved.